Does the construction industry need the luck of the Irish? So it’s Monday, the weekend is over, there are daily stories in the construction industry press about skills shortages, impact of Brexit on the industry, consistently low profit margins etc, what is there to be happy about? I just thought I would share what made my Client happy on Friday. He identified that he could potentially be losing 21k / year in his business and I helped him come up with a plan to get that back. All I did was ask the right questions and as a result of this I left our session to get the train back from London feeling very happy too. 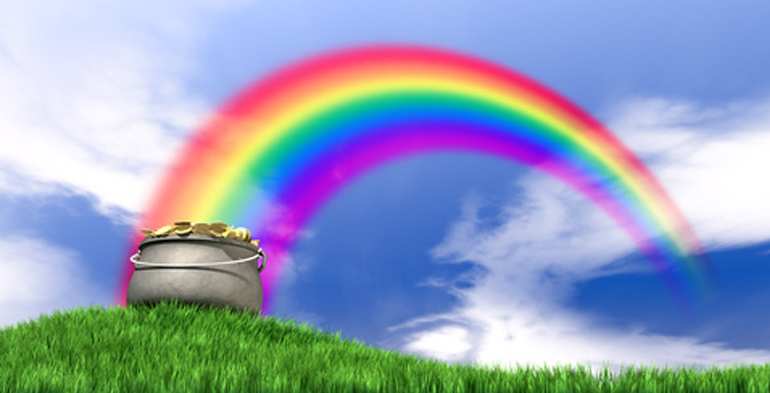 My Client is an SME in the construction industry wanting to grow his business and I’m working with him to look at what changes including systems and processes he needs to make to achieve his vision and I reckon we have a few more pots of gold to find yet. Every day in our industry resources are wasted in all sorts of ways, you may have the right people doing the wrong roles therefore they are not being as productive as they should. You might have the wrong people in the right roles upsetting the apple cart by not being able to effectively manage their teams and causing discord and lack of productivity. There could be all sorts of pots of gold in your business waiting to be found right now. SME’s and micro-businesses are the back bone of the industry and freeing up capital in their business and maximising profit margins could make a huge impact on their ability to grow and increase the industry’s productivity. So, what would make you happy today? If you do need any help finding your pots of gold then give me a shout and I will bring my metal detector!